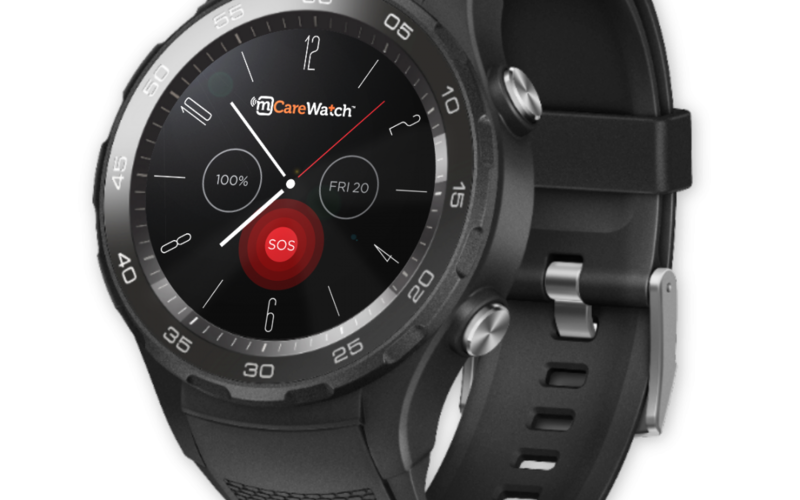 SYDNEY, AUSTRALIA – Huawei has partnered with mCareWatch to leverage Australia’s first 4G sim-enabled wearable, the Huawei Watch 2, and produce a healthcare solution that offers safety and security to the elderly and disabled, and peace of mind to their carers.mCareWatch is an all Australian software company that specialises in healthcare solutions. It was founded by two brothers from Sydney, with the intention of using the latest technology, to create platforms and applications and provide solutions for caring, wellbeing and independent living. Using the array of measurement tools built into the Huawei Watch 2, mCareWatch is able to extrapolate information to support safety, health and fitness. That includes thorough detailed bio-measures that can aid with the management of conditions such as diabetes and heart disease. Through the additional connectivity of the 4G connected Huawei Watch 2, mCareWatch can offer next level functionality including – GPS tracking, geo-fencing, one-touch SOS alerts, on-demand auto-calling/check in prompts, customised medication reminders and non-movement alerts. The Huawei Watch 2 can also measure blood pressure and weight by connecting to Bluetooth peripheral devices. Says Eric Zhai, Managing Director, Huawei Consumer Business Group Australia: “Huawei’s goal as a business is to make life better through a better connected world. This partnership with mCareWatch is a perfect example of that ambition. It’s a partnership that takes Huawei leadership in bringing the first connected 4G sim-enabled watch to Australia, and uses that technological advancement to improve the lives of the elderly, the disabled and those that care for them”. Family and friends can receive an SMS or email alert and call when non-movement by the wearer has been detected. Wellness and Quality of Life feature will enable the watch to automatically check-in on the wearer by asking a series of questions to ensure the wearer’s safe and well. The Huawei Watch 2 can be purchased ready-connected to the mCareWatch caring & wellbeing platform directly from mcarewatch.com.au or by calling mCareWatch on 1300 188 557. Prices start at $699 for outright purchase of the watch and 12 months’ access to the mCareWatch app.